In response to my thoughts yesterday on the uplifting message of ‘respect for political adversaries’ embedded in a recently auctioned letter between then President Thomas Jefferson and founding father John Dickinson, I got a couple of interesting responses that I’ll share here. First an aside though, a quick note on John Dickinson, the namesake of Dickinson College chartered in 1783 by Dr. Benjamin Rush. Rush convinced then Governor (then called President) of Pennsylvania John Dickinson to lend his support and name to the College, which Dickinson referred to as Tuta libertas, or a ‘bulwark of liberty.’ While Dickinson College asserts that it was the first college chartered in the United States (as all other colleges and universities derived from England then), the first college was actually Washington College in Chestertown, Maryland — chartered in 1782 with the support and naming rights of George Washington. Sorry Dickinson, which nonetheless is a deeply impressive educational institution. A couple of other Dickinson curiosities for a moment. Dickinson was the founding father who chaired the Annapolis Convention that branded the Articles of Confederation a failure and called for a new Constitutional Convention. Good. Gold Star. But some years earlier, he played the type of moderate perhaps that Jefferson’s 1801 letter described and became the founding father “who refused to sign” the Declaration of Independence. When former Dickinson College President Bill Durden took me to a coffee house on campus once, he said the “decaf” option was named after Dickinson because he wasn’t a signer. Ok. Too much information. He was a signer of the Constitution, though someone else did the signing — and signed in the Delaware contingent rather than Pennsylvania. So riddle me this? And I’m serious as I would love any thoughtful responses on this next query. In my not very deep research about John Dickinson, I learned that he served as President (i.e. 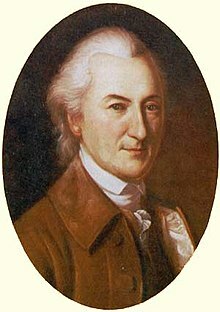 Governor) not of only Virginia (and thus the Dickinson College connection) but also of Delaware — and the tenures overlapped. He was the President of Pennsylvania, and succeeded by none other than Benjamin Franklin, from November 7, 1782 – October 18, 1785. And yet he was President of Delaware from November 13, 1781 – January 12, 1783. So from November of 1782 to January of 1783, he was moonlighting? Just wondering. On that President Jefferson letter to the man who was one President of two states simultaneously, John Dickinson, former global AIDS Czar Mark Dybul takes some air out of Jefferson’s appeal to not be animated by minor political differences. Thoughtful piece. And a message we need today. Guess the problem for me is that I read too much history. 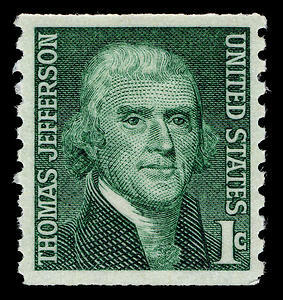 The letter reflects Jefferson’s better self — not the politician he was. In many ways he is the Founding Father of vitriolic partisan politics including creating a newspaper to mercilessly and with fake – and deeply nasty and personal – news to attack Washington and his policies. And that while he was in Washington’s Cabinet! And he got even worse when the parties became more formalized. As you know Washington opposed political parties so they didn’t really exist in the same way until, well really Jefferson left his cabinet. His letter is a great message. It’s the credibility of the messenger on the topic that is difficult. All fair from my point of view. And Jefferson’s letter, despite some magnanimity, still said that the Hamiltonians (as opposed to the Federalists) should be tolerated but not given power. Walter Slocombe, former Under Secretary of Defense for Policy, writes as well about the Jefferson letter and suggests that it’s not really about magnanimity toward political adversaries, but rather an appeal for intra-party tolerance among what were then ‘republicans.’ Slocombe says that Jefferson was writing to say that republicans of minor difference should not be lined up in a circular firing squad and opposed by those with whom they have very small differences. Democrats need to remember what [Jefferson] says in the letter about “republicans” (in his context the proto-Democrats of the Jefferson era) not letting internal divisions in the party destroy their electoral chances. “I am more concerned to see in this disapprobation a germ of division which, if not smothered, will continue you under that [federalist] rule from which union [among republicans] is relieving our fellow citizens in other states. Not to always go for the middle ground, but I can live with both messages, which have unusual and important relevance today. For the two parties and their members, understand that while political struggle and competition are not a kumbaya sing-a-long, we are of the same nation and on the same civic boat. I do read some of that in Jefferson’s words — though I agree with Dybul that Jefferson could also be a major scandalmonger. Read Safire’s novel on that some time. But to Joe Biden, Mark Warner (because he’s a shadow shogun of the centrist Democratic wing), Elizabeth Warren, AOC (added because she matters in the Presidential equation even if not running), Eric Swalwell, John Delaney, Howard Schultz (who is sort of a Dem), Michael Bloomberg (who probably isn’t), Mitchell Landrieu, Kamela Harris, Kirsten Gillibrand, Cory Booker, Pete Buttigieg, Tulsi Gabbard, Julian Castro, and the next ones who want to live at the White House — the founder of your party, Thomas Jefferson, is sending you a signal that somehow you have to keep the eye on Donald Trump and not the differences among yourselves.